I have finished writing America's Executioner: Rick Perry's Betrayal of Executive Clemency. It's substantially longer than I anticipated. 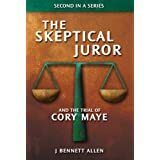 At 70,000 words, it is only 3,000 words shorter than The Trial of Cory Maye. The Skeptical Spouse is 80% of her way through the final edit cycle. She has also created a beautiful cover consisting of sparse, red words over a faded, historical map of southeast Texas. It's a disappointment that I'll not see the cover in print. Despite the long hours, despite all that I have ignored while working on it, I've decided not to publish the book. The reason is quite simple. The book is not good enough. The book is too dry. It is overly detailed. It is difficult to read. I don't think it will further the cause of those wrongfully convicted. I'm unhappy with it. I simply failed to write a good book. Surprisingly, I'm at peace with that. I'll catch up on some matters too long ignored, I'll pay more attention to this blog, then I'll try again to write a good book. Are you going to put out a copy of it for others to decide if they have the same opinion? 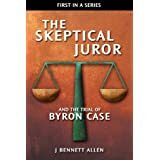 I think putting out a copy of the book for others to decide the book's merit is pretty much equivalent to publishing the book. I'm not sure what I'm going to do with it, if anything. Right now, I'm just going to pay attention to issues too long ignored. 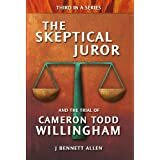 Another comment from the Airborne Juror and another trip to Wikipedia to see where he has been. Freiberg, Germany: founded in 1186 and ever since a mining center. Home of the oldest school of mining and metallurgy in the world. Home of the annual Mining Town Festival, the highlight of which is the Miners' and Ironworkers' parade. Based on Airborne's reported locales, best I can tell he deals in oil and precious metals, and keeps his money secure in Switzerland. Good to see your postings are back on track. I've got some reading to do!